The Carmencita yacht perfectly combines the comfort and elegance of the boat, with a refit in 2019 to ensure that your experience discovering Ibiza and Formentera is unforgettable. The Sunseeker Camargue 44 yacht of 14 meters in length has taken into account every detail in its design in order to guarantee the comfort of its guests. Your bathtub offers spacious spaces where a group of 9 people plus the skipper or 10 people can enjoy on board in their different environments. 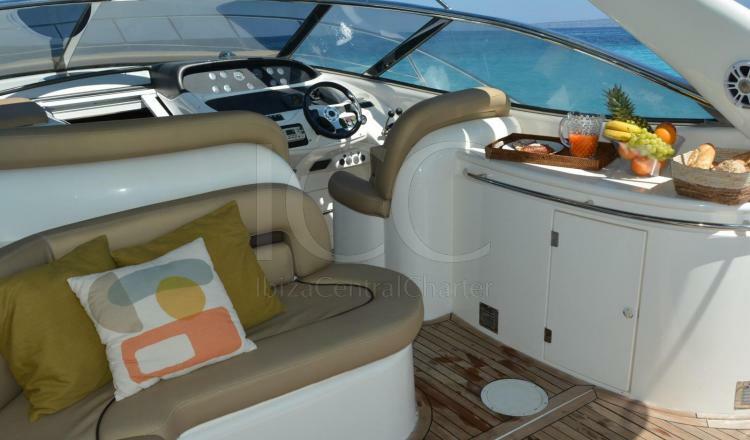 The boat has a notorious extension of the bow sundeck, offering larger mats than the rest of the boats in its category. Additionally, there is a second solarium located on the stern so that no guest can stay without relaxing in the sun. In the bathtub you can rest in comfortable seats complemented by a fridge for a refreshing drink. 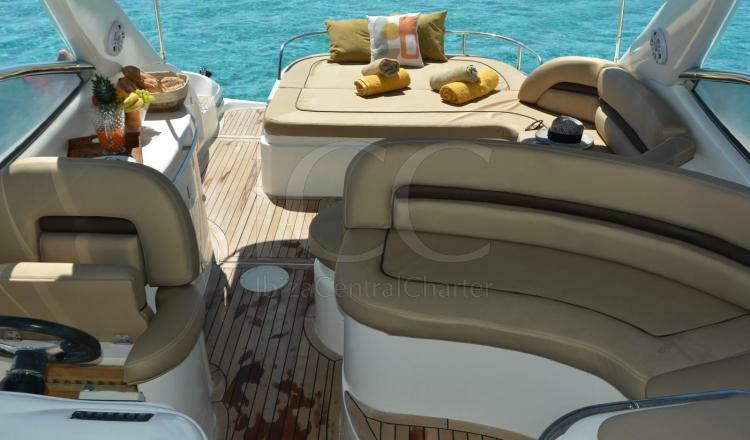 The Camargue 44 is equipped with a bimini awning that will provide the necessary shade for the hottest days of summer. On the other hand, its bathing platform facilitates access to the water chauzón and increases security thanks to its teak deck. Inside, it offers a spacious lounge with two cabins and two toilets ideal to regain strength and continue with the experience. 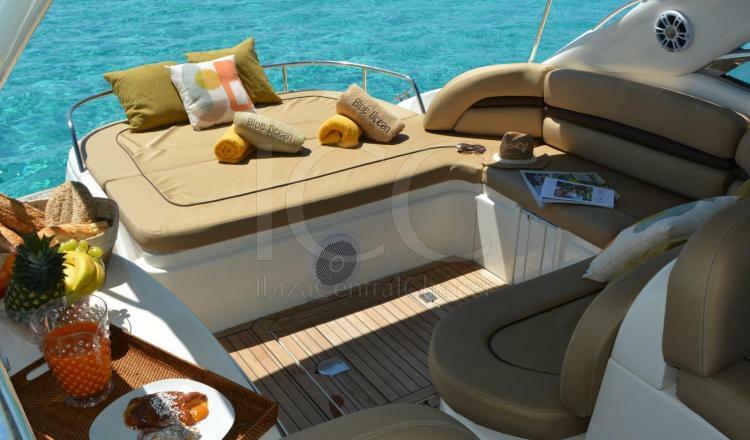 Undoubtedly, discover the islands of Ibiza and Formentera on this yacht is a real luxury.